While you’re a Lubar student, you can expand your cultural perspectives, develop your knowledge of international business, and develop friendships around the globe through an international study experience. Study abroad opportunities are available to a wide range of destinations and for lengths of time ranging from a few weeks to a full academic year. Explore the possibilities for study abroad early in your college career so you can plan ahead. Be sure to talk to your academic advisor about what you’d like to do so that you can map out your academic plans and make the most of these exciting global learning experiences. The Lubar School of Business offers the following Business Study Abroad Programs, in partnership with UWM’s Center for International Education. A unique program in Paris, France, you’ll take classes at the Novancia School of Business in Paris related to doing business in European Union countries, including cultural factors that influence business climate, marketing and branding issues, and accounting and financial topics. In addition, you’ll enjoy corporate visits to French and American companies, as well as an exciting trip to Versailles and a moving experience at Normandy. Expand your world-view, self-confidence, and international business acumen through this Business Study Abroad Program. Corporate and cultural visits, business-class hotels, private tour guides/buses and many meals are included. In the summer of 2017, we traveled to Ho Chi Minh, Vietnam; Siem Reap, Cambodia; and Bangkok, Thailand. 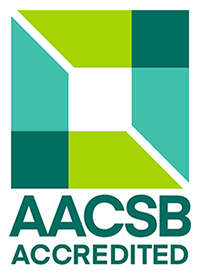 The Business Study Abroad program will vary the selection of countries every year. Come join us as we explore these politically, socially and culturally diverse Asian locations! 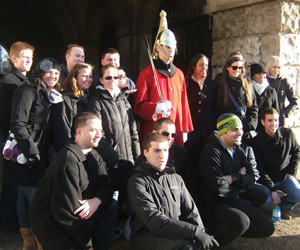 Travel to Europe to learn the dynamics of Business in this high quality study abroad program. The program begins in Tallinn, Estonia and features guest lectures about its economy, followed by a visit to Helsinki in Finland with visits to local businesses. The program then carries on to St. Petersburg in Russia with guest lectures and visits to many businesses there. Students will also participate in many day trips to see castles, museum, etc. Don’t miss this rare opportunity to earn academic credit and gain valuable insights into how business is conducted in Europe. Travel to Europe to learn the dynamics of Business in this high quality study abroad program. This program is hosted by UWM’s long-standing exchange partner, Justus Liebig University (JLU) in Giessen, Germany, and is supported by Ernst and Young (E&Y). You’ll interact with German students at JLU as you work on several group projects focused on international accounting. The program includes excursions to Stuttgart and Heidelberg, and corporate visits to a German office of E&Y and other prominent international businesses. You’ll also enjoy several cultural excursions in Germany. Are you interested in something else? Programs to other areas of the world, as well as semester-long or year-long study abroad programs, are offered through UWM’s Center for International Education. Be sure to check back regularly – our program offerings can change from semester to semester.